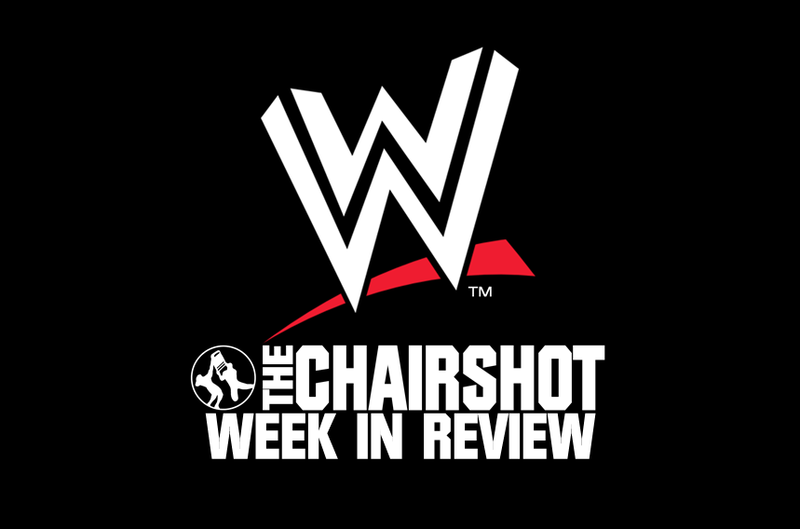 Tiffany let’s us know how the first week of WWE shows worked towards WrestleMania! The Shield: I’m pretty sure I’m not the only one that found the ‘Farewell Address’ of the Shield underwhelming. After seven years and seven title reigns between them, I think we were all hoping for a little more. However, the fact that Seth was basically pushed out of the Shield so he could face Lesnar was interesting because of the parallel with how the Shield ended in 2014. Shelton Benjamin vs Seth Rollins is a match a lot of us have wanted to see, but I don’t think any of us envisioned Benjamin becoming a Paul Heyman guy to help Brock Lesnar. The match was great though and Seth stood tall, but the whole thing was kind of random, in my opinion. The whole thing with Ambrose and McIntyre pissed me off so bad, I nearly threw my remote control. Dean taking on a match to help Roman, who still might not be fully ready for a singles match yet, but Dean basically getting his head kicked off twice, probably writing him off TV to finish his contract is BS. That’s not how you ‘reward’ a loyal employee that’s put up with seven years of aborted pushes, badly booked title reigns, and BS feuds to build up other talent. At least let him leave with his head held high, not getting destroyed in front of his wife. 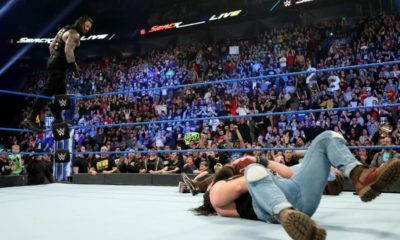 Finn Balor vs Bobby Lashley: I’m not sure what WWE is doing with Finn Balor and the Intercontinental Championship but having him lose to Lashley was just stupid and the justification didn’t add up. Lashely knew that if Rush got pinned, he’d lose the title and agreed to it. Hopefully, this leads to Balor getting the title back at WrestleMania, but it’s just a weird situation to put the workhorse title in. Ronda Rousey: Let’s have a round of applause for Dana Brooke for interrupting another painful Rousey rant and calling the Baddest Woman on the Planet on her arrogant BS. Yes, Dana got the s**t kicked out of her for it, but what she did took guts and I applaud her for it. Aleister Black and Ricochet vs Bobby Roode and Chad Gable: After last week and the end of the Triple Threat match at Fastlane, it’s safe to say Unexpected Duo and the Glorious Alpha do NOT like each other. The result was a fantastic clash between two great teams and Black and Ricochet would pull out the win, but their victory was short lived when the Revival jumped them from behind. This is going to WrestleMania. Moment of Bliss: After a brief absence, the always cringe-inducing Moment of Bliss returned and there was something major on the card: Who would be the host of WrestleMania. Turns out that the host of WrestleMania was none other than Alexa Bliss herself. Bliss didn’t miss the chance to gloat over her big moment, but what will she be doing as host of WrestleMania? Braun Strowman: After their hair-raising encounter last week, no one would’ve blamed Colin Jost for not wanting anything to do with Braun Strowman ever again. However, the SNL star tried to patch things up with the Monster Among Men by sending him a lovely new car. Strowman’s response was destroy said car, which makes him the biggest heel in the world in my eyes. Elias: I’m super over Elias but watching him beat up No Way Jose was fun. I’m not sure why that needed to happen, but it was at least something new. Nia Jax vs Natalya: I think it’s safe to say that the women of WWE are over Lacey Evans interrupting them and I don’t blame them. I did loved the match between Nia and Nattie if only because of Beth Phoenix being back in the ring and the prospect of the Samoan Dynasty having a rivalry with the Divas of Doom. I wasn’t thrilled about Boss-Hug being included because I want Boss-Hug to feud with Trish and Lita at WrestleMania for the titles, but we’ll see. 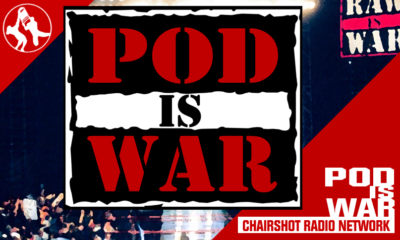 Triple H and Batista: I said last week that Triple H spilled some major tea on Batista in his promo about their upcoming WrestleMania bout, but this week, both men spilled the tea and threw the teacups. That promo was amazing! I actually thought Triple H was going to make the match Hell in a Cell, but on further thought, I’m glad he didn’t because I’m not sure either man will be able to perform to that level again, especially Batista. Kurt Angle: I was very sad to hear that Angle was retiring, but I was also a little relieved. I love Kurt Angle, but it’s clear that the Olympic Hero isn’t able to perform at the level we’re used to and it’s time to hang up the boots. I’m glad he’s having his last match at WrestleMania, I would’ve preferred him to go to Survivor Series and retire on his 20th anniversary, but WrestleMania is the best place to end his career. I loved the match with Apollo Crews and loved the respect between the two. Kurt got to have a victory in his hometown and Apollo got to wrestle one of his heroes. Not a bad way to spend the evening. Shane McMahon: Let’s admit it, the McMahons are much better at being heels than they are at being faces, but Shane did a good job for the last three years. That said, him returning to being a heel was very satisfying and a little creepy. Also, I’m waiting for the day when the ring announcers, commentators, and backstage interviewers get sick of being pushed around and just slug one of the wrestlers. I’m not surprised that Miz/Shane will happen at WrestleMania, but it doesn’t really feel like a can’t miss match. Aleister Black, Ricochet, and the Hardyz vs The Bar, Shinsuke Nakamura, and Rusev: This match was fantastic. I’m glad the Hardy Boyz are back, but the real story about this match was New Day. I’m not a New Day fan, mostly because I find their antics annoying, but if they showed their serious sides more often and did stuff like they did to the four teams in this match, I’d like them a whole lot more. Usos: I have only one thing to say about this promo: GIVE ME USOS VS HARDYZ AT WRESTLEMANIA!!!!!! Randy Orton and AJ Styles: This was a good promo, but I’m not super feeling this feud. Styles was a champion and top guy in his company when Randy Orton was barely getting started in wrestling. I’m also not feeling Orton looking down on indy wrestlers when he’s spent his whole career in WWE. Also, after losing to Jinder Mahal, Orton has no business mocking anyone’s career, but this is going to WrestleMania, so there’s that. Asuka vs Sonya Deville: Asuka still doesn’t have an opponent for WrestleMania, but it looks like Fire and Desire are seriously on the outs with each other. Mandy basically left Sonya to her fate, then walked away without apologizing, so this might be a Mania match, but it’s hard to say at this point. IIconics: I’m going to be honest, I find the IIconics annoying, but they have a solid case to complain about Boss-Hug Connection. WWE said that the Women’s Tag Titles would be defended on all of the brands with a Women’s Division, but so far, Sasha and Bayley have only showed up in NXT and have only defended the titles once. Hopefully, WWE will fix that soon. Becky Lynch: WWE finally as their RAW Women’s Championship Match settled, now they have to keep the momentum up. Charlotte and Becky did a great job on Tuesday, but I still think Charlotte would be better used against Asuka than in the RAW Women’s Championship Match. R-Truth and Rey Mysterio vs Samoa Joe and Andrade Almas: I’m getting tired of this match. Let R-Truth have his one-on-one rematch and get it over with. Mysterio pinning Joe, thus putting him in line for the one title he never had was nice, but I’m over this rivalry. Kevin Owens and Mustafa Ali vs Daniel Bryan and Erick Rowan: This was a good match to bookend Sunday’s Triple Threat while leaving room, but ROWAN pinning means that the door is still open for Owens and Ali to stay in the title picture. Vince McMahon and the New Day: I was honestly hoping that New Day would beat the living hell out of Vince, but that wasn’t to be. However, that promo was AMAZING on both sides. I’m not sure if Kofi will win the gauntlet match next week, but it promises to be amazing. 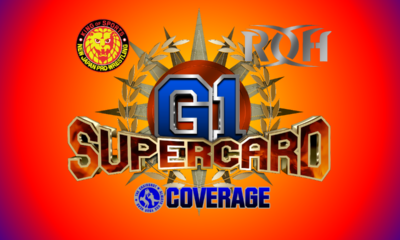 Number 1 Contender Tournament Promos: The promos were good, but pretty standard fare. Everyone hit their talking points, while actually acknowledging each other as good athletes, except for Gulak who sees everyone as inferior to himself. Lorcan’s promo was interesting because he doesn’t have a history with anyone in the tournament, but he still managed to seem like a viable contender for the title. Buddy Murphy: Murphy was supposed to be smug in this promo, but he also seemed a little bored, but that may have just been part of the gimmick since he put down everyone in the tournament as not really worthy of his time. Cedric Alexander vs Oney Lorcan: I like Cedric Alexander, I really do, but I was disappointed that he won. For a show that’s supposedly all about everyone getting opportunities, Alexander seems to be the only one getting most of the shots at the title. It was a great match and Lorcan seems to be finding his feet in the Cruiserweight Division, but I wish the outcome had been different. Drake Maverick’s Office: I love the new attitude of Mike Kanellis. I’m not crazy about Maverick threatening to fire Kanellis if he keeps losing, when he’s barely been booked on 205 to start with and there are other superstars with a worse win/loss record. Very intrigued by who Kanellis will face next week. Ariya Daivari: I actually think Maverick might put Kanellis with Daivari next week, if the goal is turning Kanellis face. Daivari also has reasons to gripe about his treatment, so we’ll see what happens. Tony Nese vs Drew Gulak: This match is where the tournament got interesting because Nese and Murphy are supposed to be BFFs, but Nese is one match away from going to WrestleMania. It was a good match, but I’m genuinely surprised that Gulak lost. Flash Morgan Webster vs Wolfgang: There was nothing really surprising about this match, except that Webster managed to get in some offense before being crushed by Wolfgang. It makes you wonder if Wolfie is getting tired of Gallus. Kassius Ohno: Well, I guess we know where Ohno landed after leaving NXT. 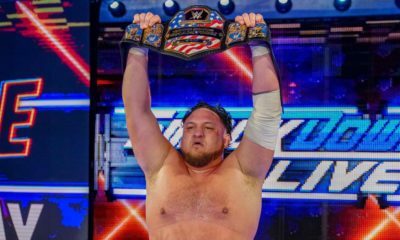 I’m not really sure if he’s going to fare any better in NXT UK, but it’ll be an interesting ride. 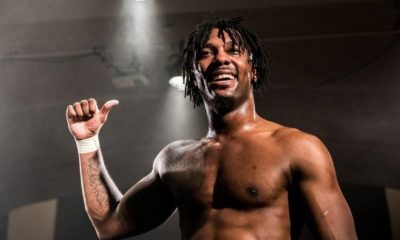 Kenny Williams and Amir Jordan vs Tyson T-Bone and Saxton Huxley: Williams and Jordan are back and even more exciting is that they won a tough match against Tyson T-Bone and Saxton Huxley, two very tough customers. Looks like the Lucky Bad Boys have finally managed to sync up with each other. Jinny: I’ve repeatedly expressed my view on Jinny and this interview didn’t do anything to change that. Her being mad that Toni wasn’t available was just…ugh. I hope they hurry up with this feud so we can move on. 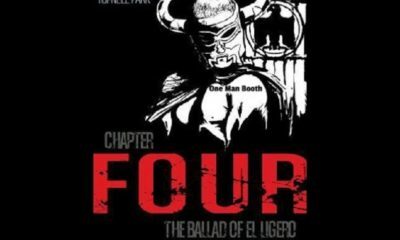 Eddie Dennis: The Headmaster from Hell is returning next week and his first…student is going to be Ligero. I was surprised that Dennis respects Ligero, especially since he doesn’t seem respect anyone. I can’t wait to see that match. Noam Dar: It looks like Dar is going to be hanging his hat in NXT UK now. I like that he’s going to be heel and I like the idea of him and Mark Andrews feuding. Very happy with this all around. Xia Brookside: I love Xia Brookside and I love that she and Ripley are going to be feuding, though how well it’ll go for her is another matter. Kay Lee Ray vs Candy Floss: I loved this match! Poor Candy Floss got her clock cleaned, but it was still a great match! Can’t wait to see what KLR does in NXT. Moustache Mountain: Bad dust puns aside, this was a really great promo from Moustache Mountain and I love how the ongoing story with GYV isn’t forgotten. I’m interested to see the Bate/Gibson match, if it happens. Coffey Brothers vs Pete Dunne and WALTER: *Sigh* I’m over this. Just get on with the Dunne/Walter feud and get it over with because this build is boring me to death. The match was good, but I’m just bored with this feud and it hasn’t started yet. Moustache Mountain vs Forgotten Sons: This was a classic match that was perfect for the Dusty Rhodes Classic! It was such a good match, that I even forgot to be disappointed that Moustache Mountain lost. It seems kind of silly to have this show and limit it to only NXT US. Women’s #1 Contendership Match: I’ve made it clear how I feel about Bianca Belair, but this was a masterful way to make the Women’s Title a Fatal Four Way and possibly take the belt off Baszler without pinning her. I still wish Shirai had gotten the one on one she earned before this though instead of getting robbed of it because of Belair. 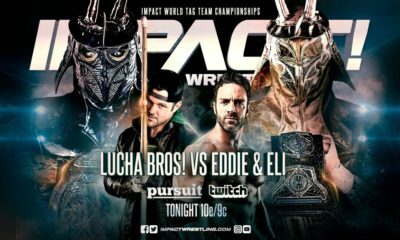 DIY vs Aleister Black and Ricochet: We all knew that the DIY reunion was likely to be a short one, but I don’t think we thought it would be that short or that the turn would go THAT way. Still seeing Gargano get the last laugh on Ciampa was great, even though this storyline has been put on hold…AGAIN…because Ciampa is injured. If there was ever a snakebit feud, it’s been Gargano vs Ciampa, but we’ll get there soon. Overall Thought: The ramp up to WrestleMania begins! WWE is taking the brakes off and going full blast to get everything in place for the biggest show of the year. Every show was full of build for WrestleMania and it’s clear that everyone’s trying to make a case for being included in the Show of Shows. 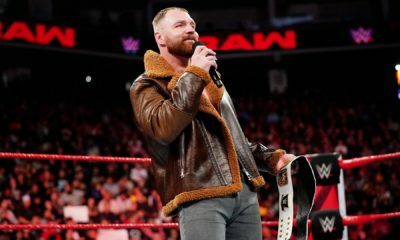 My big gripe is with the handling of Ambrose’s possible departure, which seems more and more likely as the days go by. A man that has worked and carried a company on his back like Ambrose has should be given more of a send off than what he’s gotten. Hopefully, WWE will at least give him a WrestleMania moment before he leaves.